SES announced the successful launch of four more O3b Medium Earth Orbit (MEO) satellites, bringing the number of O3b satellites to 20. The launch was carried out by Arianespace from the Guiana Space Centre using the Soyuz rocket. The satellites were built by Thales Alenia Space. The O3b MEO system is the only satellite-based system currently delivering fibre-like high-performance data connectivity services, MEF Carrier Ethernet certified services and certified Cloud connectivity services. OneWeb, which is planning to deploy a constellation of Low Earth Orbit satellites, secured $1.25 billion in new capital, enabling it to start mass production of satellites through its joint venture with Airbus. This round was led by SoftBank, Grupo Salinas, Qualcomm, and the Government of Rwanda. OneWeb has now raised to $3.4 billion to date. 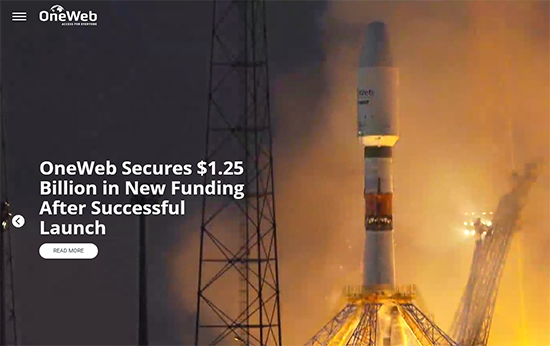 OneWeb said it will now "embark on the largest satellite launch campaign in history." Satellites will be built at its new, state-of-the-art manufacturing facility in Exploration Park, Florida. The first launch occured on February 27th. Starting in Q4, OneWeb will begin monthly launches of more than 30 satellites at a time, creating an initial constellation of 650 satellites to enable full global coverage. Further phases are planned. 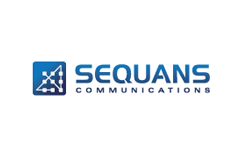 Sequans Communications is working with Lockheed Martin to develop new 4G LTE for satellite technologies for worldwide deployment. The idea is for LTE end user devices to connect directly to geostationary satellites. Arianespace successfully launched two telecommunications satellites: the Saudi Geostationary Satellite 1/Hellas Sat 4 condosat for operators KACST and Hellas Sat; and GSAT-31 for the Indian Space Research Organisation (ISRO). The launch marked the 103rd Ariane 5 mission. The Saudi Geostationary Satellite 1 will provide advanced communications services for Saudi Arabia’s KACST (King Abdulaziz City for Science and Technology), as well as secure communications for countries belonging to the Gulf Cooperative Council region. The Hellas Sat 4 will provide advanced regional communications services for Arabsat’s subsidiary, Hellas Sat, the Greek-Cypriot satellite operator. ISRO's GSAT-31 satellite will provide Ku-band transponder capacity for the Indian mainland and islands. Arianespace said up to five Ariane 5 dual launches are planned in 2019, to orbit a total of 10 geostationary satellites. Isotropic Systems Ltd., a start-up developing next-generation integrated satellite terminals, announced a $14 million Series A round of funding led by Boeing HorizonX Ventures, with participation from WML, Space Angels and Space Capital. Isotropic Systems, which is based in London, is developing the world's first multi-service, high-bandwidth, low power, fully integrated high throughput terminal designed to support the satellite industry to 'reach beyond' traditional markets and acquire new customers with a full suite of high throughput services. Iridium Communications inaugurated its "Certus" global broadband service, offering on-the-move internet and high-quality voice access for assets, autonomous vehicles, trains, aircraft and ships at sea. The initial service is targeted at maritime and terrestrial applications, with Iridium Certus aviation solutions expected later in 2019, once certified. Iridium Certus leverages the company's $3 billion Iridium NEXT satellite replacement program. Iridium is debuting the service, which will feature a variety of speed classes, with the Iridium Certus 350 (352/352 Kbps) offering, which supports capabilities like internet and high-quality voice services to compact terminals built specifically for maritime, aviation and terrestrial/vehicle applications. Terminals will be upgradable to the next speed class, Iridium Certus 700 (352/704 Kbps), with a firmware update once available. Initial activations of the service occurred in December of 2018 with excellent system performance. Terminals are being built by Cobham (maritime), Thales (maritime, aviation and land-mobile), Collins Aerospace (aviation), L3 (aviation), Gogo (aviation) and Satcom Direct (aviation). So far, 35 service providers have been authorized by Iridium to provide the service around the world. The company estimates Iridium Certus will reach an approximately $100 million yearly run rate by year end 2021. The final 10 Iridium NEXT satellites were successfully launched into orbit aboard a SpaceX Falcon 9 rocket from Vandenberg Air Force Base in California. This was the eighth and final launch for Iridium's historic launch campaign with SpaceX, seeing a total of 75 new satellites deployed over less than two years. The Iridium network is comprised of six polar orbiting planes, each containing 11 operational crosslinked satellites, for a total of 66 satellites in the active constellation. Once all the satellites from the Iridium-7 mission are operational, plane 5 will be the fourth orbital plane to be comprised entirely of Iridium NEXT satellites. In total, 81 Iridium NEXT satellites are being built, with 66 in the operational constellation, nine serving as on-orbit spares and six serving as ground spares. Iridium NEXT is the company's $3 billion, next-generation, mobile, global satellite network scheduled for completion in 2018. Iridium NEXT is replacing the company's first generation global constellation in one of the largest technology upgrades ever completed in space. It represents the evolution of critical communications infrastructure that governments and organizations worldwide rely on to drive business, enable connectivity, empower disaster relief efforts and more. Iridium has invested approximately $3 billion to replace its original satellite system with a new, state-of-the-art network, ushering in an era of financial and technological transformation for the company. At the core of this transformation is the dramatic change in cash flows as construction capital expenses end and a decade or longer "capex holiday" allows significant cash generation from existing and new services. These include Iridium CertusSM, which will provide the world's fastest and only truly global specialty L-band broadband connectivity, enabling highly mobile internet access using smaller and more cost-effective terminals, and the AireonSM aircraft surveillance system, extending real-time visibility of aircraft for air traffic controllers and airlines to the entire planet for the first time. To date, new satellites make up 60 of the 66 satellites in operation, with the final six scheduled for activation in the coming weeks. Iridium NEXT satellites were designed by Thales Alenia Space, which serves as system prime contractor, and are being integrated by Thales' subcontractor, Northrop Grumman. The production process features an 18-station, state-of-the-art assembly line system for all 81 Iridium NEXT satellites being built. 3GPP has approved a global standard for terrestrial use of Globalstar’s spectrum at 2483.5-2495 MHz. Specifically, 3GPP has designated Globalstar’s terrestrial S-band as Band 53, which now permits LTE services in the U.S. with additional geographies expected to be added in 2019. The approval provides for Time Division Duplex (TDD) services in Band 53 as a standalone band and allows Globalstar’s spectrum to serve as an anchor channel for carrier aggregation and LAA next year. 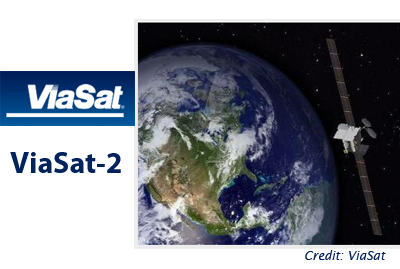 LeoSat Enterprises has been granted authority by the U.S. Federal Communications Commission (FCC) to provide NGSO (non-geostationary satellite orbit) services in the United States. The start-up plans to deploy a unique new data network comprised of a constellation of up to 108 low-earth-orbit communications satellites to serve sectors such as enterprise-to-enterprise communications, telecommunications, oil & gas operations and maritime services with global premise-to-premise connectivity. The LeoSat constellation will be distinguished by optical inter-satellite links, on-board processing, and polar orbits at an altitude five times closer to the Earth than medium earth orbit satellites and 25 times closer than geostationary orbit (“GSO”) satellites. LeoSat says its will be able to provide enterprise-grade, highly secure data transmissions with up to 1.2 Gbps of full-duplex connectivity per link (and 5.2 Gbps where needed), along with low latency of less than 20 ms. The high-throughput satellites will form a mesh network interconnected through inter-satellite laser links. The company projects that its optical backbone will be is approximately 1.5 times faster than terrestrial fiber networks. LeoSat’s CEO, Mark Rigolle said, “Getting approval from the U.S. Federal Communications Commission – among the world’s most sophisticated radio frequency regulators – is an important milestone for LeoSat and recognizes that we have a unique solution for high-speed and ultra-secure enterprise connectivity. I am delighted by this significant step forward for LeoSat as we continue to make excellent progress on our journey to deliver the world’s first business backbone in space, opening-up new markets for data networking, telecoms, enterprise and government communications across the globe”. Hispasat, the Spanish national satellite operator, has agreed to invest in LeoSat, which is preparing to launch a constellation of low-earth-orbit communications satellites. Financial terms were not disclosed. With this agreement, Hispasat joins Asia’s largest satellite operator, SKY Perfect JSAT, as investors in LeoSat. 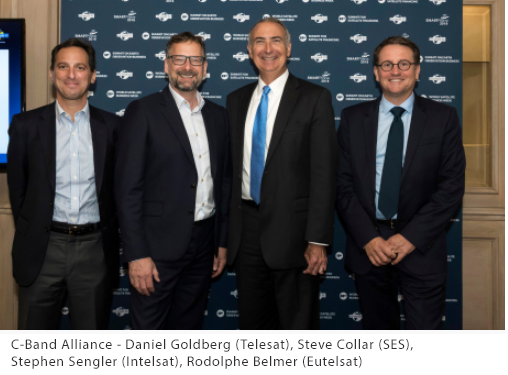 Washington, D.C.-based LeoSat is working with Thales Alenia Space to develop a constellation of up to 108 low-earth-orbit, Ka-band communications satellites. Launch of the constellation is expected in 2019. LeoSat is targetting high-speed, low-latency and highly secure communications and bandwidth for telecom backhaul, energy, maritime, government and international business markets. LeoSat Enterprises was established in 2013 by Cliff Anders (Chairman) and Phil Marlar (Chief Operating Officer), two former Schlumberger executives. 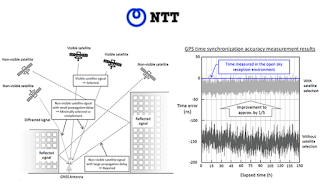 NTT and FURUNO ELECTRIC CO. have developed a receiver for GPS and other global navigation satellite systems (GNSS) that significantly improves time-synchronization accuracy in areas with severe reception conditions such as among buildings and in mountainous areas. 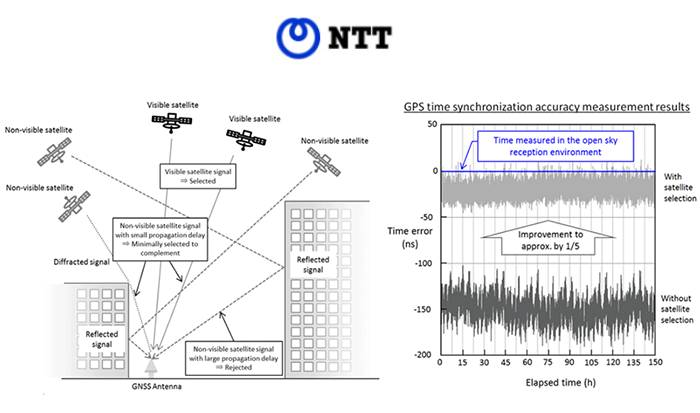 NTT said its new satellite signal selection algorithm and a time synchronization GNSS receiver from FURUNO makes it possible to use multi-path satellite signals (reflected or diffracted from buildings and other structures), which previously inhibited accuracy of time synchronization. In a real multi-path reception test environment, time error was reduced to approximately 1/5 of earlier values. This is a remarkable result in that it promises to enable time synchronization accuracy close to that obtained in open-sky reception environments with no obstructions, even in environments previously considered poor and unsuitable for accurate time synchronization, such as among buildings or in mountainous areas. FURUNO plans to begin sales of their new GF-88 series time synchronization GNSS receivers incorporating this new technology in April of 2019. Potential applications include 4G/5G mobile base stations, financial trading, power grids, and data centers. A new C-Band Alliance has been formed by leading satellite companies, including Intelsat, SES, Eutelsat, and Telesat with a goal of making mid‐band spectrum available for 5G services in the United States. The CBA will act as a facilitator, as described in a recent FCC proceeding featuring the companies’ market-based proposal to clear a portion of C-band spectrum in the United States. The market-based proposal, which was approved by the FCC in July 2018, aims to protect the quality and reliability of the extensive services provided by satellite operators in the C-band spectrum to U.S. broadcasters, media, and data companies. The proposal establishes a commercial and technical framework that would enable terrestrial mobile operators to quickly access spectrum in a portion of the 3,700 to 4,200 MHz frequency band in the U.S., speeding the deployment of next-generation 5G services. The CBA will undertake the technical and commercial implementation of the spectrum clearing process. The CBA will be led by Bill Tolpegin, currently CEO of OTA Broadcasting, who will serve as Chief Executive Officer of CBA. Media sector veteran Preston Padden will serve as Head of Advocacy and Government Relations. Horizons 3e, a next-gen satellite owned by a joint venture between Intelsat and SKY Perfect JSAT Corporation of Japan, arrived at the Guiana Space Center in Kourou, French Guiana, where it will undergo final preparations before its scheduled launch on an Ariane 5 rocket on the 7th of September, 2018. Horizons 3e was built by Boeing and is based on the Intelsat EpicNG design. Horizons 3e is the sixth of Intelsat EpicNG high throughput satellites and will complete Intelsat EpicNG’s global coverage. It is also the first Intelsat EpicNG satellite to feature entire Ku-band spot beams utilizing multiport amplifiers that optimize power across the satellite, and features the highest throughput of the entire Intelsat EpicNG fleet with full beam interconnectivity in two commercial bands. Viasat launches 35-100 Mbps business Internet across U.S.
Viasat began offering a nationwide, business-class Internet service with a variety of unlimited and metered data plans featuring download speed options ranging from 35 Mbps to 100 Mbps across U.S. Maximum speeds vary by location. Viasat broadband business internet will also provide a more resilient secondary/backup connection for businesses in urban locations. The new business Internet service is delivered via the ViaSat-2 satellite system, which was launched on June 1, 2017 by Arianespace. The Ka-band satellite was built by Boeing. SES Networks announced a deal with the Office des Postes et Telecommunications of French Polynesia (OPT) to deliver enhanced mobile broadband and Internet services to residents across the vast French Polynesian territory. Under the new agreement, OPT will access the NSS-9 satellite’s wide C-band coverage to reach the sprawling Polynesian archipelago of 118 islands in the South Pacific. OPT has been using SES satellite capacity to provide connectivity services since 2007. “OPT and SES Networks have been partners for the last decade. It was thanks to SES satellites that we brought French Polynesia into the Internet age. Today, mobile broadband and Internet connectivity demands from residents and businesses are growing faster than ever. NSS-9 offers reliable coverage and a wide footprint spanning the Pacific Ocean – a perfect complement to our terrestrial infrastructure, as we expand our network to provide new and enhanced services that people need,” said Tehina Thuret, Telecommunications Chief Executive at OPT. SES-12 was successfully launched by SpaceX into geostationary orbit at 95 degrees East. It will serve video, fixed data, mobility and government customers across Asia-Pacific and the Middle East. SES-12, which is one of the largest geostationary satellites that SES has ever launched, is equipped with six wide beams and 72 high throughput user spot beams. It also has a Digital Transparent Processor (DTP) that increases payload flexibility to provide much more customizable bandwidth solutions to SES's customers. 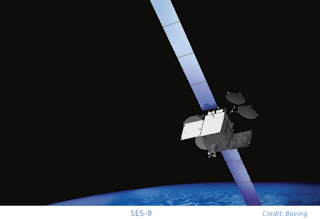 SES-12 will join SES’ network of seven geostationary satellites and 16 MEO satellites across Asia-Pacific and the Middle East. SpaceX successfully launched five Iridium NEXT satellites and two GRACE-FO satellites from Vandenberg Air Force Base, California. The launch used the Falcon 9 rocket. Falcon 9’s first stage for this mission was previously used in January for the Zuma mission from Cape Canaveral in Florida. After today's launch, SpaceX did not attempt to recover the first stage again. The Iridium NEXT project is replacing the replacing all of the company's satellites with new ones for enabling next-generation broadband for specialized applications, like safety services, data and communications, remote monitoring, tracking, etc. This was the sixth of eight launch missions by SpaceX for Iridium NEXT. In total, 81 satellites are being built, with 66 in the operational constellation, nine serving as on-orbit spares and six as ground spares. Eutelsat Communications unveiled plans for a next-generation VHTS satellite system named KONNECT VHTS for its European fixed broadband and in-flight connectivity businesses. The KONNECT VHTS satellite is due to enter into service in 2021. Thales Alenia Space will build the satellite along with the ground segment solution. The satellite will have Ka-band capacity of 500 Gbps, making it the most powerful on-board digital processor ever put in orbit. Eutelsat also announced that it has secured firm multi-year distribution commitments from Orange and Thales, two key European players and leaders in their businesses. A retail partnership was signed with Orange to address the fixed broadband market in European countries where the Group has a retail presence, and a distribution partnership was inked with Thales to serve the government connectivity services market. The investment in KONNECT VHTS replaces the project of a joint investment with ViaSat in a ViaSat 3 satellite for Europe, Africa and the Middle East, and is covered by Eutelsat’s capex objective of an average of 420 million euros per annum. 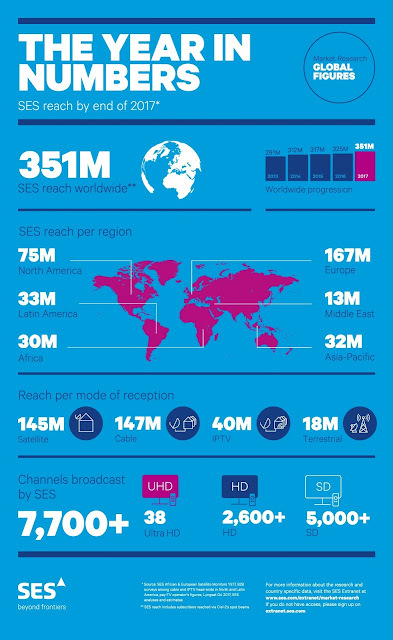 SES now reaches 351 million TV homes, according to the company's research. This means that SES is now delivering video content to more than 1 billion global viewers. This compares with 325 million households at the end of 2016. SES attributes its increased reach to the addition of new countries (Ethiopia, Tanzania, Uganda and Turkey) and the wider reach of Yahlive, namely in the Maghreb countries, together accounting for 17 million more SES TV homes. On a like-for-like basis, the technical reach grew by 9 million SES TV homes, mainly in Nigeria, Ghana and the Middle East. Out of its 351 million TV homes, SES directly reaches 145 million, and indirectly serves another 147 million cable homes, 40 million IPTV homes, and 18 million terrestrial homes. 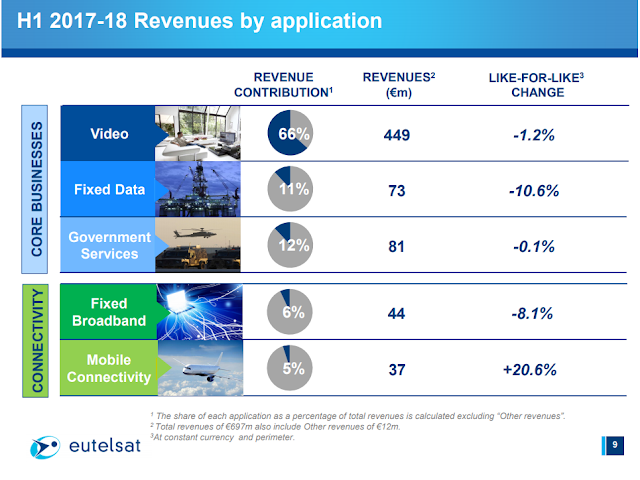 In the first half of this article, we looked at the recent financial performance of Eutelsat, the Paris-based satellite operator known for its pioneering video distribution services and global reach. Currently, the Eutelsat fleet of satellites is carrying 6,810 TV channels, of which 1,275 channels are HD – a penetration rate of only 19%, which seems low in this era when 4K television screens are now widely available in many markets at declining prices. As the video market continues to shift toward over-the-top services, and as fibre reaches many of the locations which were previously the exclusive domain of satellites, Eutelsat will seek new opportunities, such as in-flight mobile connectivity -- its only segment that is currently growing. Eutelsat also has interesting ventures underway in Africa, and recently in the "Belt and Road" countries in partnership with China Unicom. Unlike some of its industry rivals that have drawn up plans for dozens, hundreds or even thousands of new satellites in the coming decade, Eutelsat seems to be taking a conservative CAPEX approach with regards to the orders book. While current shareholders may appreciate keeping a healthy dividend, the space business is inherently a costly one. Eventually, satellites get old and must be replaced. Newer technology means that the current assets in orbit can depreciate quite quickly. In September 2016, Eutelsat suffered a major setback in its vision to deliver broadband connectivity to Africa in partnership with Facebook when SpaceX experienced a launch pad anomaly during a pre-launch test at Cape Canaveral, Florida, leading to the explosion of a Falcon 9 rocket and the destruction of its payload, Eutelsat's AMOS-6 satellite. AMOS-6 was a Ka-band geostationary satellite configured with high gain spot beams for covering large parts of West, EAast and Southern Africa. The satellite was designed for community and Direct-to-User Internet access using affordable, off-the-shelf customer equipment. The partnership with Facebook was announced in October 2015 with a mission to reach large parts of sub-Saharan Africa. Eutelsat’s upcoming African Broadband Satellite looks to be a replacement for this lost bird. The new satellite t has ordered from Thales Alenia Space for possible launch in 2019. The all-electric satellite will be the first to use Thales Alenia Space's new Spacebus Neo platform. And it will offer 75 Gbps of capacity across a network of 65 spotbeams, which together provide quasi-complete coverage of Sub-Saharan Africa. The satellite will address direct-to-user consumer and enterprise broadband services using dishes from approximately 75 cm. Villages could use the satellite connectivity for Wi-Fi hotspots and mobile phone backhauling. No word on whether Facebook will play a role in the renewed project. 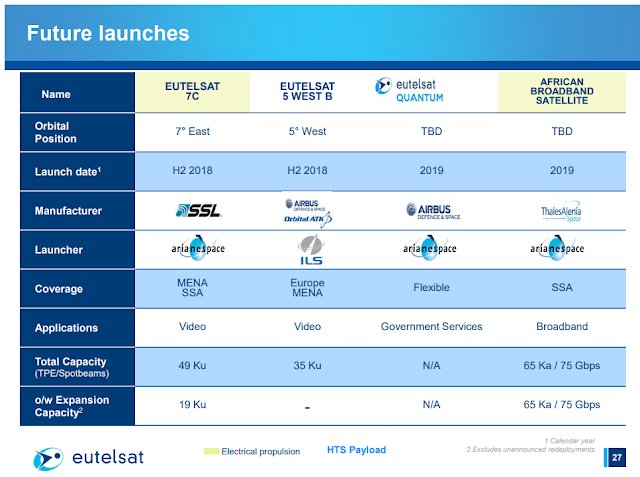 There are two other past regional expansions for Eutelsat that should be noted. In October 2017, Eutelsat acquired Noorsat, one of the leading satellite service providers in the Middle East, from Bahrain’s Orbit Holding Group. 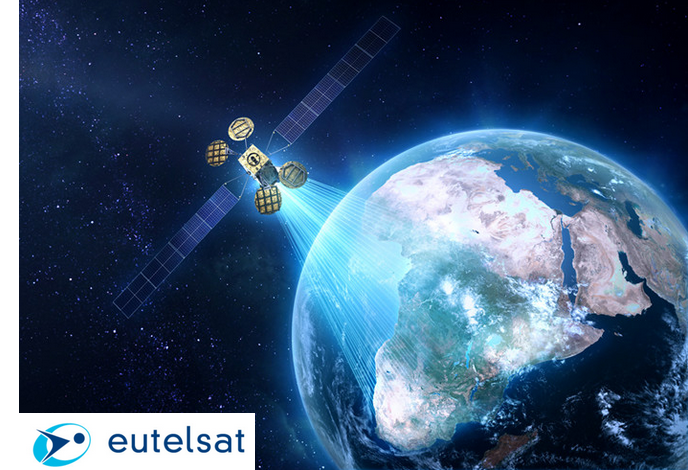 In 2013, Eutelsat acquired Satélites Mexicanos, for $831 million in cash plus assumption of $311 million in Satmex debt. Satmex operates three satellites that cover 90% of the population of the Americas. Finally, Eutelsat and China Unicom signed a memorandum of understanding to address satellite communications market in the framework of China’s “Belt and Road” initiative. The agreement builds on in-flight connectivity deal formed between Eutelsat and UnicomAirNet (UAN), which was recently formed by China Unicom's broadband network unit and Hangmei, a Chinese Wi-Fi service and content provider for railways and buses, to provide IFC services to Chinese commercial airlines. The Belt and Road Initiative is the development strategy proposed by the Chinese government that focuses on connectivity and cooperation between Eurasian countries. The idea is to build a 21st century Silk Road linking more than 68 countries, equivalent to 65% of the world's population and 40% of the global GDP as of 2017. The Belt and Road Initiative has the support of President Xi and the highest levels of his administration, leading some analysts to call it the largest organised development in history. China's leading IT players, including China Telecom, China Unicom, and China Mobile, are being encouraged to pursue an overseas expansion strategy. As such, Eutelsat makes an interesting partner for China Unicom in that it already has the satellite coverage, and the local TV broadcast partners), in the regions that China Unicom wishes to expand. Likewise, if Eutelsat is looking for a partner with the financial resources, scale, and ambition to cover Asia, the Middle East and Africa, China Unicom presents many possibilities. Global politics, of course, would play a role, with government contracts and national security interests as top concerns if this partnership were to deepen. Oakleigh Thorne has been appointed President and Chief Executive Officer, effective immediately, replacing Michael J. Small, who has stepped down as President and Chief Executive Officer, and as a director of the company. Gogo said the decision for Small to leave the company was "mutual". Mr. Thorne, a director of the company since 2003, has approximately 30 years of leadership experience with significant operational and financial expertise. He currently serves as Chief Executive Officer of Thorndale Farm LLC, the family office of the Thorne family, which is the largest Gogo shareholder, owning approximately 30 percent of the ompany's outstanding common stock. Mr. Thorne has served in numerous senior management positions, including as Chief Executive Officer of two public companies.